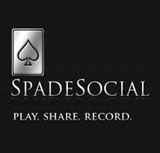 Currently in the beta test phase, SpadeSocial will in the short term allow users to upload their own videos related to casino games and sports betting and co-produce original programming covering news related to poker, blackjack, casino strategy, betting and spread betting as well as its PokerMind and Funny First Time series. SpadeSocial will also provide users with video streaming facilities to disseminate gaming news across in the web virally. Members can also share videos with other social media sites and voice their opinions using the Facebook comment tool. “Social networking in the online gaming arena will no longer be a sterile exchange platform used by reactive users, said John Kamara of SpadeSocial. SpadeSocial is a proactive forum for users with content created and administered by members of the online community“.